I thought I would go in alphabetical order for the Letter of the Week with John, but I even just on our second week I changed my mind! 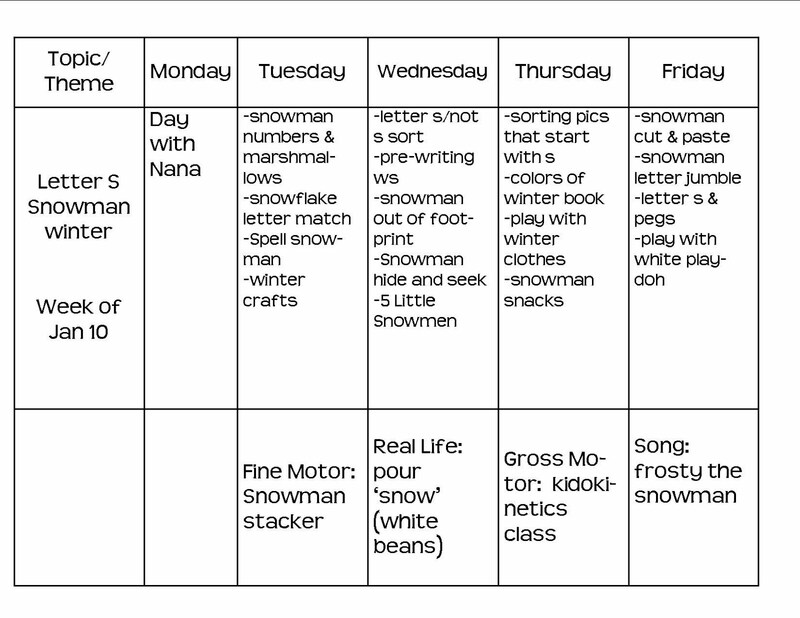 :) So, we moved right along to letter S this week because I wanted to do a snowman/winter week while we were still in the winter season. And how appropriate is it that it SNOWED today in Texas!? John has been reading his 's' books this weekend about snow and snowmen so it was perfect that he got to play in the snow today and make his very own snowman with Daddy! I used some activities from Confessions of a Homeschooler and I found a super cute unit from Musings of Me. Mrs. Home Ec also had some great snowman ideas that I am borrowing this week! 3. Winter crafts: My sister and I had thought about signing our kids up for an arts & crafts class at a local rec center. But we figured we could do our own crafts for way cheaper. So she is coming over this week so the kiddos can do a winter craft together. I am so excited! I happened to find this site over the weekend with a bunch of great crafts. It will be hard to choose just one!! 5. Play with Winter Clothes: just like it sounds! I am going to take out some hats, gloves, and scarves for us to play with. Maybe we will dress up his stuffed animals? Have John practice putting them on and off all by himself? We will see what he does with this one! 6. 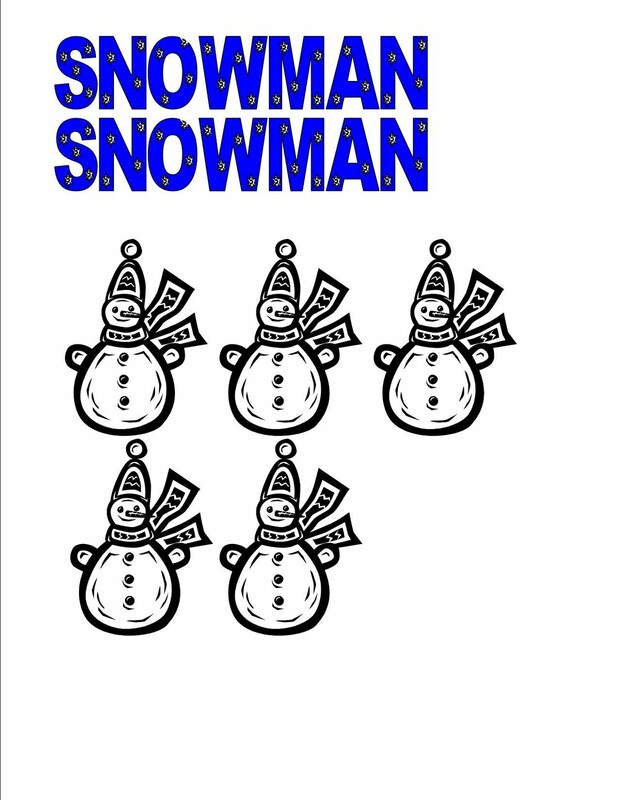 Snowman Snacks: We are going to make snowmen with the marshmallows, pretzels sticks (arms), and chocolate chips (eyes, mouth, buttons). We might be able to do this with a banana too! 7. I am using the letter s & pegs again this week. John did well with it last week and enjoyed trying to get tall towers with the pegs! 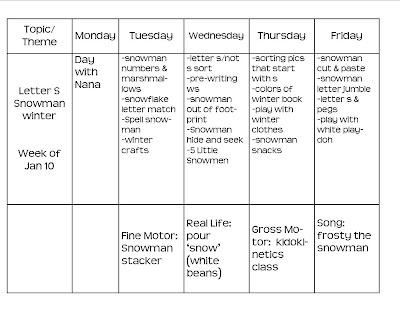 We will play with white play-doh, a Mellissa & Doug snowman stacker, practice pouring our snow (white beans), and listen to the song Frosty the Snowman. I also signed up John for a class called Kidokinetics at the rec center and I am so glad I did! He really enjoyed it last week since he basically got to run around for 45 minutes! Plus I just kind of forget you need to teach the kids how to do things like step side to side, gallop, take big long steps, etc.